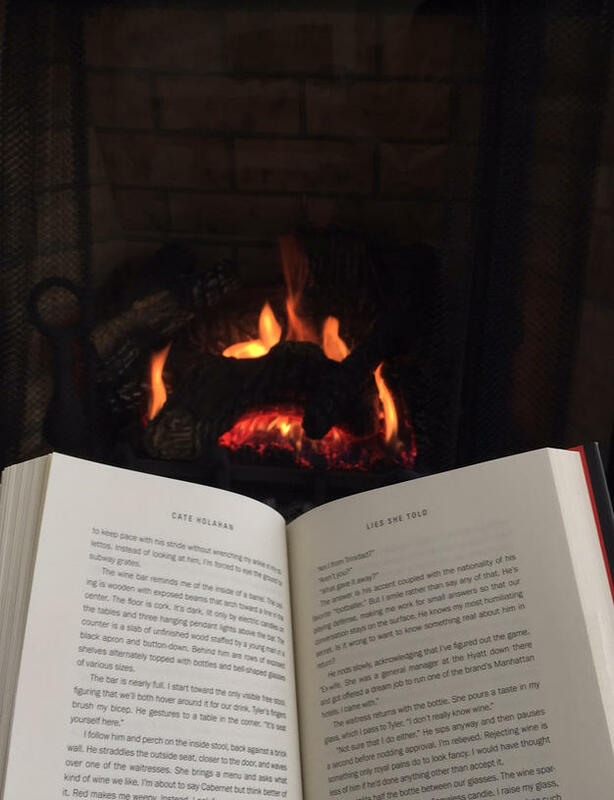 Every Christmas, after the presents are unwrapped, the dishes are cleared, and the kids tucked into bed, I reward myself with some time by the fire, Christmas music, and a good book. It’s my gift to myself. Often the holidays can seem more like an endless chore than a time for celebration. The house must be prepared to host friends and relatives (or you have to pack to travel) and a ton of food has to be prepared. There’s shopping for everyone to make sure that loved ones feel appreciated. In my house, there’s getting squirmy kids ready for church and trying to get them to pay attention to readings that go over their heads. After all the celebrating is over, there is the cleanup of wrapping paper, putting away leftovers, and hand washing wine glasses. It’s a blessing to be able to entertain dear friends and family members. I love celebrating with family, and I love seeing my kids faces light up when grandparents and cousins arrive, and their excitement when they share gifts (some of which they’ve made themselves… with a little help from mom). I appreciate this time. But after it’s all done, I also really appreciate my ending tradition. What holiday tradition do you have?